SugarCRM is upping its mobile game against the remainder of the competitive CRM sector after agreeing to a deal to acquire and subsequently shut down Stitch. The deal, for which financials have not been disclosed, sees the startup's app that is geared towards sales people absorbed into SugarCRM's offering and it follows confirmation from Stitch last week that the app in its current form would no longer be available. SugarCRM's mobile app will absorb all the elements of Stitch. This is good news for users of the latter's app as up until now it has only allowed users to access their existing databases. Stitch works by allowing users to intelligently group, check through and gain analytics from emails and other cloud-based documents to create a more valuable set of insights for salespeople that are constantly on the move. Stitch goes even further than that by trying to bring in big data and algorithms to provide even better opportunities for sales staff. As part of the transaction almost the entire Stitch team will be moving to SugarCRM and the office that it has acquired will become the SugarCRM location in San Francisco. Stitch's CEO and co-founder Somrat Niyogi will join SugarCRM as an advisor. The startup was founded by former Salesforce executives and Salesforce itself acquired a similar service offered by RelateIQ last year for just under $400 million (around £265 million, or AU$521 million). 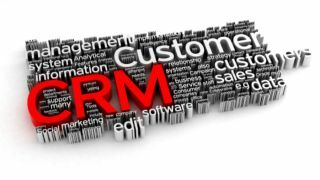 Are we witnessing the dawn of the golden age of CRM?